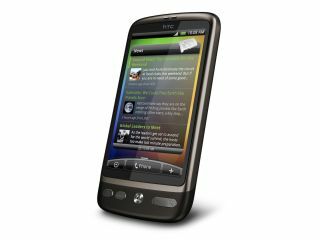 The HTC Desire will be getting Android 2.2 in Q3 this year, along with the HTC Wildfire and HTC legend. Hot on the heels of the news that the Nexus One will be getting an over-the-air firmware upgrade this week, mobiles blog Recombu spoke to HTC about the next generation of the mobile OS coming to its handsets. "We are working hard with our partners to update the HTC Sense experience on Froyo and distribute it to our customers as fast as possible," said the spokesman. "We expect to release updates for several of our 2010 models including Desire, Legend and Wildfire beginning in Q3." HTC's Android phones have become major players, with the Desire in particular proving to be a key competitor to the Apple iPhone. With the iPhone 4 now arriving and Apple's iOS4 bringing new functionality to many of its phones, Android 2.2 and its extended functionality are increasingly necessary. "[Android 2.2] provides some great new features including support for making your handset a portable hotspot and support for Adobe Flash within the browser," explains Google.